11"x37" M-4 and AK-47 Rifles. 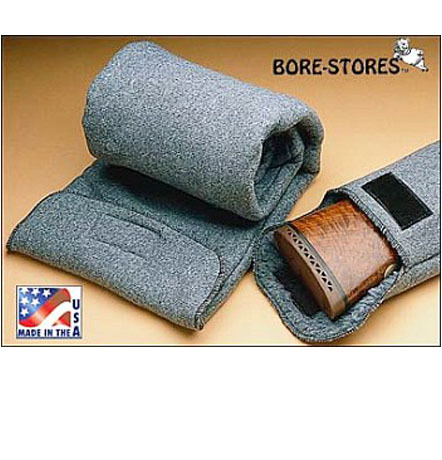 Bore-Stores gun storage cases to protect your firearms in storage and transport. Specially treated with pure silicone and rust inhibitors. Great sleeves, I use these for storing all my guns. Provide some protection against getting bumped, while also providing protection against rust (assuming they don't get wet). Bore-Store cases provide the ultimate protection for your guns and other valuables subject to corrosion and rust. They are thick and durable, keeping your guns and other valuables protected from nicks and scratches. And Top Gun Supply provides excellent customer service, good prices and fast shipping.